The Moiré brooch by David Derksen Design invites you to play! 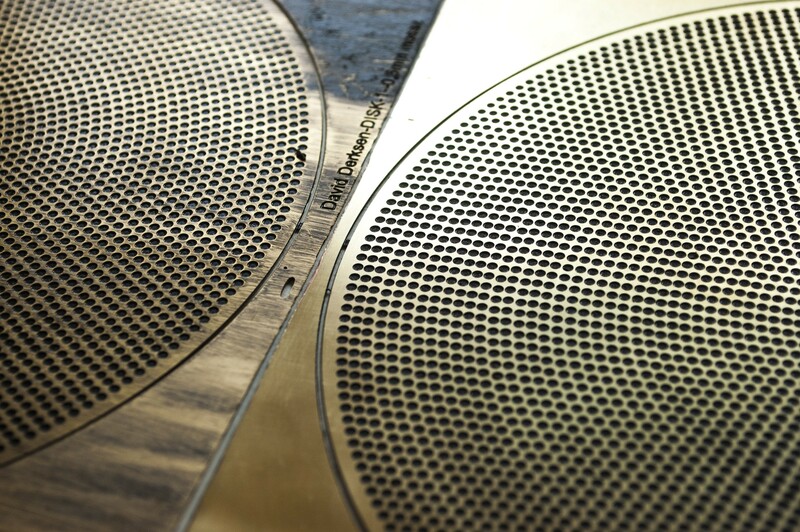 The combination of perforated brass and black coated metal plates results in a graceful Moiré. With every movement, this circular jewelry creates a hypnotic effect of multiple patterns. The Moiré series includes 1 brooch and 4 necklaces in different styles. This jewelry is both bold and playful at the same time. 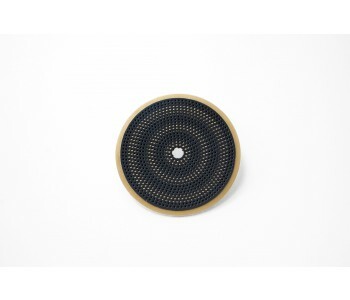 The David Derksen brooch Moiré is both bold and modern at the same time. The brooch from the Moiré series by David Derksen Design has a playful design of various, similar patterns. 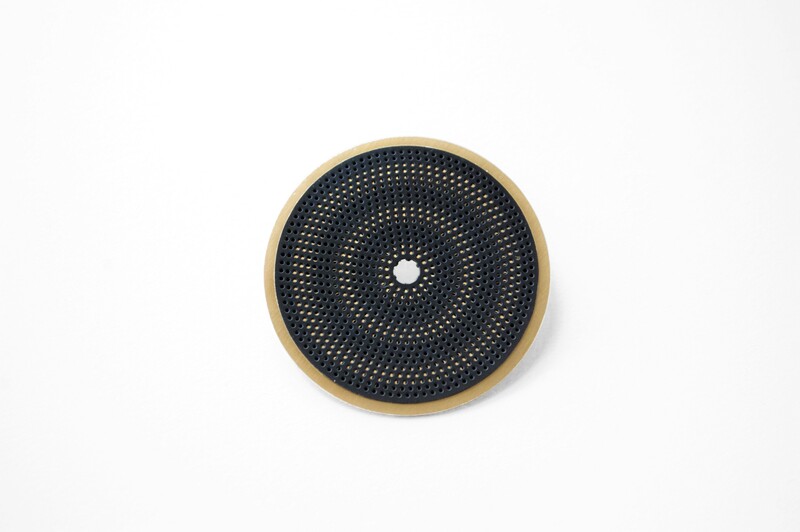 The circular brooch Moiré consists of a brass plate with a separate, black coated stainless steel plate on top. The movement creates an intriguing effect of interfering patterns. The Moiré series consists of 1 brooch and 4 necklaces, each with their own unique style. Because of the unpredictable patterns, you can wear multiple brooches at the same time. After all, every decorative pin has a different pattern. The Moiré series by David Derksen completes your jewelry collection. David Derksen is inspired by the principles and behavior of materials. By playing with the forces of nature, he creates beautiful products. The Moiré brooch is a great example of this. Moiré brooches have lines or dots of two similar patterns that sometimes overlap and are sometimes placed side by side. 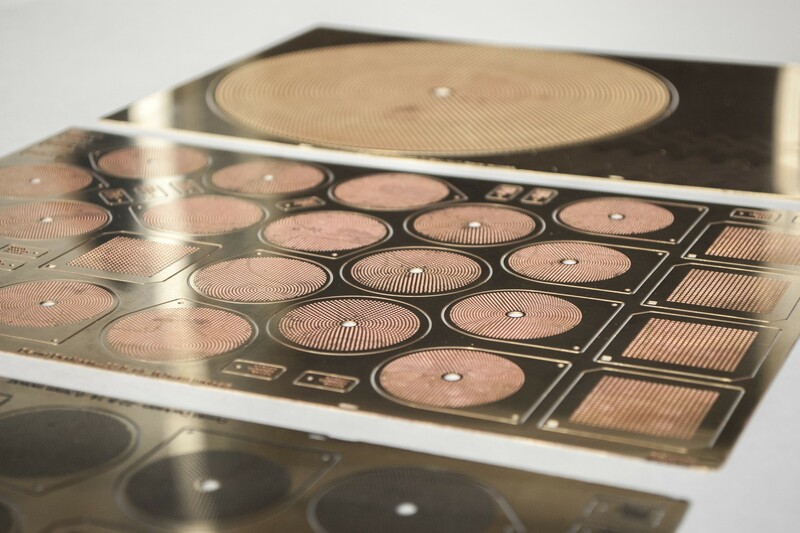 This creates a striking projection of circles and dots with an almost hypnotic effect. 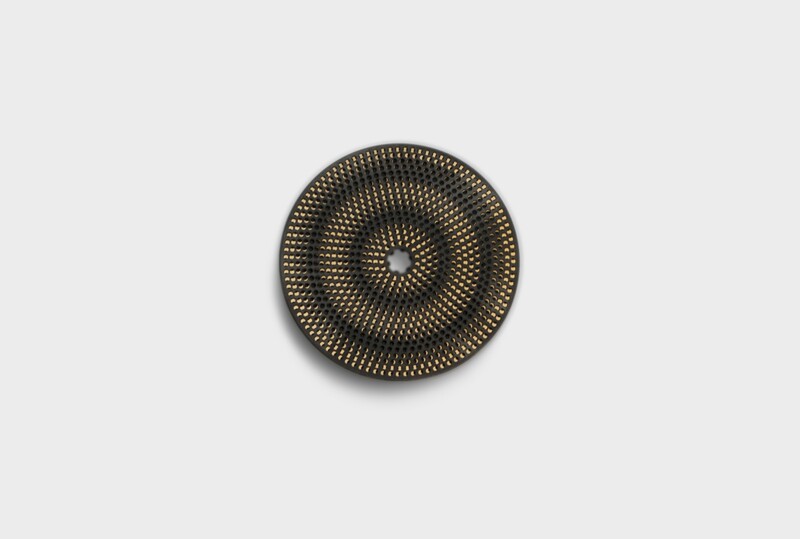 David Derksen Design has used modern materials to create this Moiré brooch. The combination of shiny, golden brass with black coated stainless steel gives the David Derksen Moiré brooch a bold and playful appearance. The jewelry from the Moiré series gives you a striking everyday appearance. The Moiré brooch has a diameter of 4.5 cm. Both the brass and the black metal plate are circular. Complete your jewelry collection with a brooch or necklace by David Derksen.